Many times over the last decade I have been given – and shared with you – beautiful and strange stories about the presence of angels. From shimmering light in the corner of the room to a blind old beggar in Crete, a Rastafarian who could see the future, a Sikh who held a ladder, beautiful beings dressed in white and soft feathery wings brushing sleeping faces. Just as many people describe in detail their positive encounters with our ‘celestial messengers’, as those who ask reassurance of their very existence. I can’t tell you how your angel will look, to you. But I do know that Angels and Ascended Masters can manifest in any form when required to do so, depending on the situation. My understanding is that they will appear to you in a way that is unique to you, within the realms of your personal perception and understanding. Sometimes in human form, or as lights and sensations or even in the form of animals; whatever it takes, to strengthen your faith in the Divine. A young woman, whom we’ll call Ann, wrote to me regularly, some time ago, whilst suffering depression in an abusive relationship. She could see no escape from the torment and despair. Her emails were heart-rending and at times I could fully empathise with her reluctance to have faith when their seemed no hope, no light in her darkness. Although Ann said that she believed in angels, her self-esteem was so low that it was a mammoth task to convince her that if she called for help, it would certainly come. In her low opinion of herself and her plight, why would an angel be bothered with her? I managed to convince her to try asking for a sign from her angels that they are always there and love her. 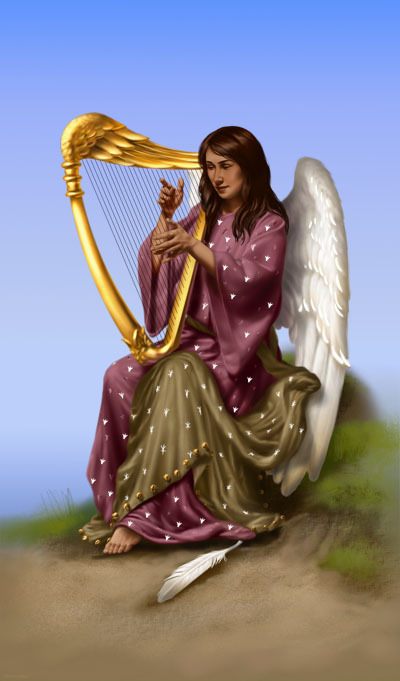 I encouraged her to call on Archangel Michael for protection and Archangel Uriel for strength of purpose. I didn’t hear from her for a while, until one day when she wrote to say that she had finally asked the angels for help after another terrible incident at home. This was the last straw and she prayed to her angels asking them to show her a sign of their presence. She felt she needed some space and went to a bench in a nearby playground to make plans. An old lady came and sat next to her on the bench. They sat together in silence for a while as Ann was consumed by her thoughts. Then the old woman stood up to leave. She turned and smiled saying “You will get through this my dear, you can do it. You’ll be all right. You will be safe. You’ll see”. Ann was stunned. How could the old woman have read her thoughts? Was she an angel in disguise? Could this be the answer to her prayer for reassurance? To her delight and surprise there was a white feather on the bench where the old woman had been sitting. Ann had heard that feathers often appear as confirmation that angels are present. The effect was astounding. 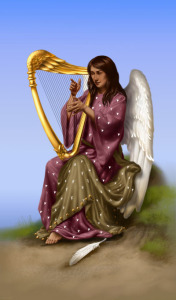 Immediately Ann found the courage to leave with her son, she found work and a place to live through amazing synchronicity and her strength and faith have now enabled her to share her remarkable story with others, of her angel in human form. Guardian angels are ever present, you may be surprised when they appear when they are least expected, even as passing strangers, bringing comfort and fulfilling your prayers in the simplest of ways.